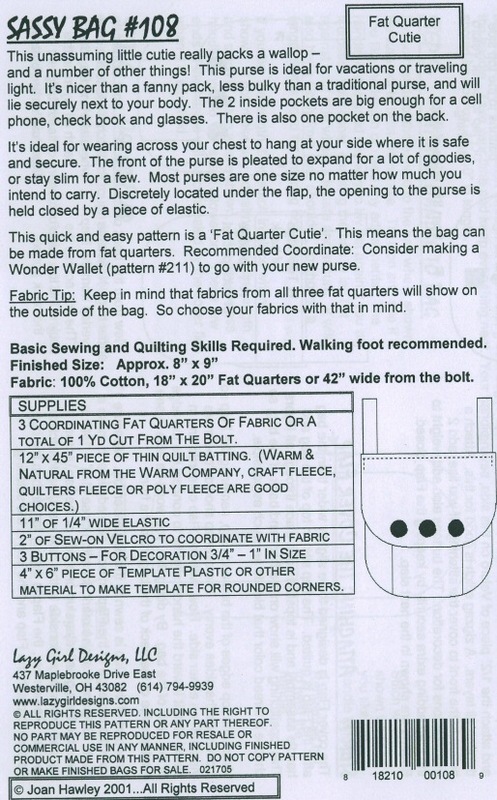 The Lazy Girl Sassy Bag pattern is for an unassuming cute little bag that really packs a wallop - and a whole lot more! It's ideal for vacations and traveling light. It's more sophisticated than a fanny pack, less bulky than a traditional purse and it will lie securely next to your body. Two inside pockets are big enough for a cell phone, check book and glasses. There is an additional pocket on the back. Finished size approximately 8" x 9". IDEA: Consider making a coordinating Wonder Wallet to go with your new Sassy Bag. 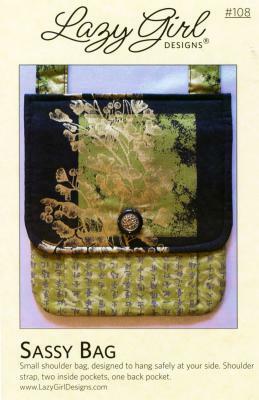 A small bag that holds essentials with easy to follow directions. I have purchased Lazy Girl Designs patterns in the past and do enjoy sewing them.